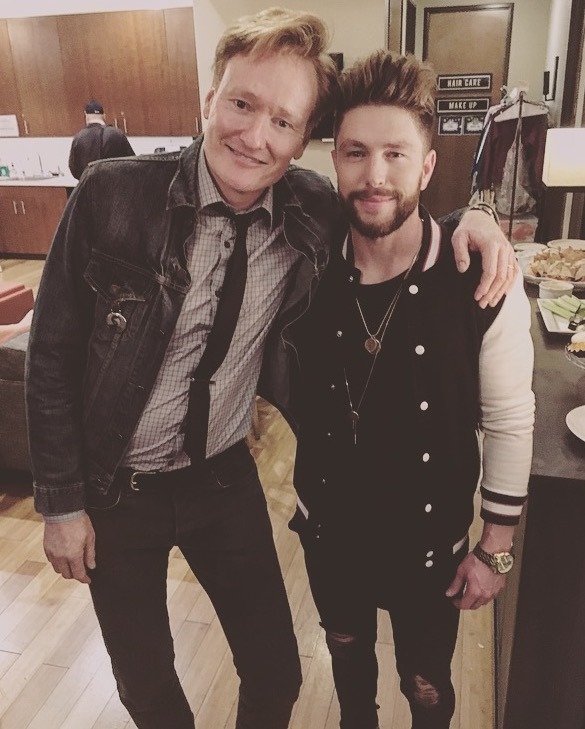 Big Loud Records breakout star Chris Lane gave an electric performance of his R&B infused single “For Her” on Conan last night (3/1). Additionally while in the city of stars, the country heartthrob brought a red hot performance to PerezHilton.com and stopped by Young Hollywood for a fun-filled Facebook live – one of Young Hollywood’s most watched to date. 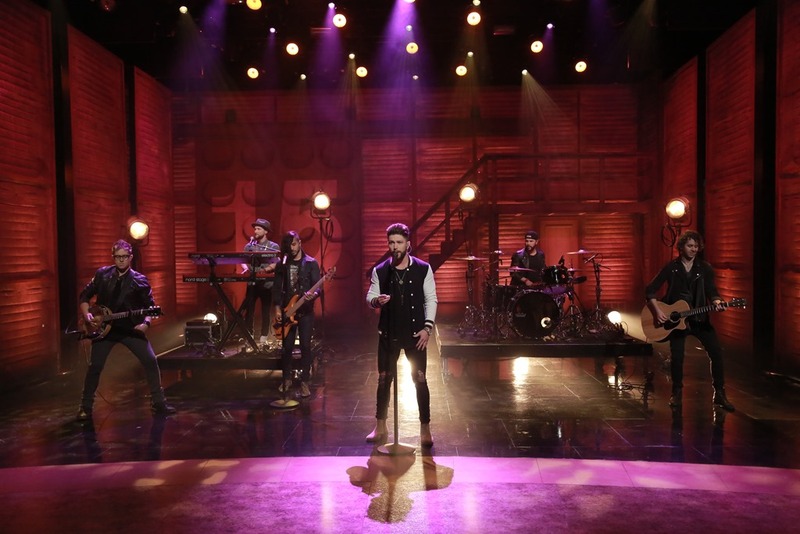 Backed by the addictive groove of Lane’s GOLD-certified chart-topping debut single, “Fix,” the singer also netted a Best New Country Artist nomination for the 2017 iHeartRadio Music Awards, airing March 5 on TNT, TBS and TruTV. The North Carolina native also earned his first-ever ACM Awards nomination for New Male Vocalist of the Year. The 52nd ACM Awards will air April 2 live from Las Vegas on CBS. “For Her” continues its rise into the Top 40 at Country radio, while also rocketing to #1 on the iTunes Top Country Songs chart following Lane’s special appearance on ABC’s reality romance series The Bachelor in January. The devoted, hearts-on-fire confession of love is the second release from his debut album, GIRL PROBLEMS. Currently opening sold-out shows on Florida Georgia Line’s DIG YOUR ROOTS TOUR, Lane will join select dates of Tim McGraw and Faith Hill’s hotly anticipated SOUL2SOUL TOUR, and serve as the featured supporting artist on FGL and hip-hop icon Nelly’s SMOOTH TOUR this summer. 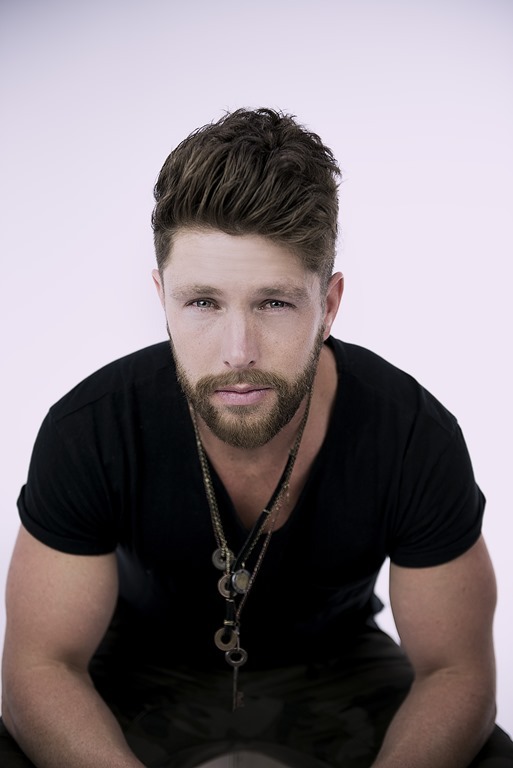 About Chris Lane: Chris Lane continues to turn heads with “For Her,” catapulting his devoted second single to #1 on the iTunes Top Country Songs chart following a special performance on season 21 of ABC’s The Bachelor. The follow-up to his #1, GOLD-certified smash debut “Fix” – claiming over 30.5 million streams on Spotify and 7.5 million views on Vevo – both songs are featured on his Big Loud Records debut album, GIRL PROBLEMS, produced by superstar studio ace Joey Moi (Florida Georgia Line). Gaining recognition for his jaw-dropping falsetto vocals mixed with a smooth R&B-meets-country vibe, Lane was named one of MusicRow Magazine’s 2017 Next Big Thing Artists and scored his first-ever nominations for the 2017 iHeartRadio Music Awards Best New Country Artist and the ACM Awards New Male Vocalist of the Year. The 52nd ACM Awards will air live from Las Vegas April 2 on CBS. Lane’s profile is on the rise thanks to his national TV debut on Late Night With Seth Meyers and shout-outs from massive industry names like Bryan Cranston (Breaking Bad), Selena Gomez, Florida Georgia Line, Lucy Hale, Daughtry and more. The Kernersville, NC, native has landed coveted opening slots on tours with Dustin Lynch and Rascal Flatts, and is now igniting fans nationwide on Florida Georgia Line’s 2017 DIG YOUR ROOTS TOUR. ACM-Nominated Duo Big & Rich Release Latest Single "California"